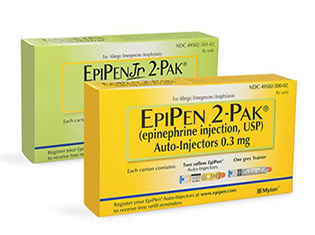 The #1 prescribed epinephrine auto-injector for over 25 years. An EpiPen is a disposable, pre-filled automatic injection device for use during allergic emergencies. They contain a single dose of epinephrine which you inject into your outer thigh.